Osteopathy is a safe, effective and gentle way of alleviating pain and discomfort and we treat people of all ages and levels of fitness. 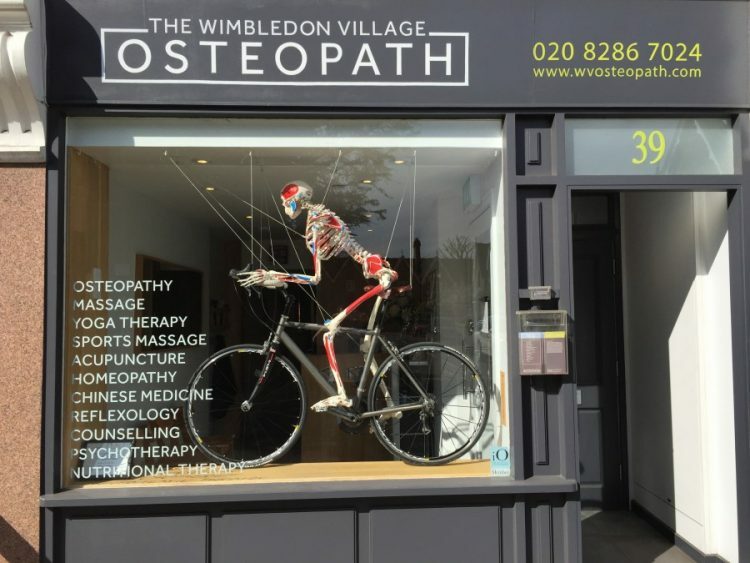 Most people know that osteopaths treat bad backs and help with sports injuries but what they mightn’t know is that osteopathy is a much more comprehensive approach to healthcare; through our hands on approach we feel for any tensions or misalignments in the body, which might be compromising normal motion and creating discomfort or pain. Depending on diagnosis treatment may include different types of soft tissue massage and joint articulation to release tension, stretch muscles and mobilise joints. Advice and exercises to support recovery and prevent recurrence may also be given. We take a holistic approach and see everyone from new born babies to nonagenarians! You do not need to have a GP referral to be seen by an osteopath but where appropriate we always work closely with GPs, and other health professionals, to get the best possible outcome for our patients. We are open 6 days a week and have early morning and late evening appointments available. Please see our website for more details and for information on the range of additional therapies we offer at the clinic.